Looking for Peter Cottontail or Easter Egg Hunts in Huntsville? Check this list for local options! 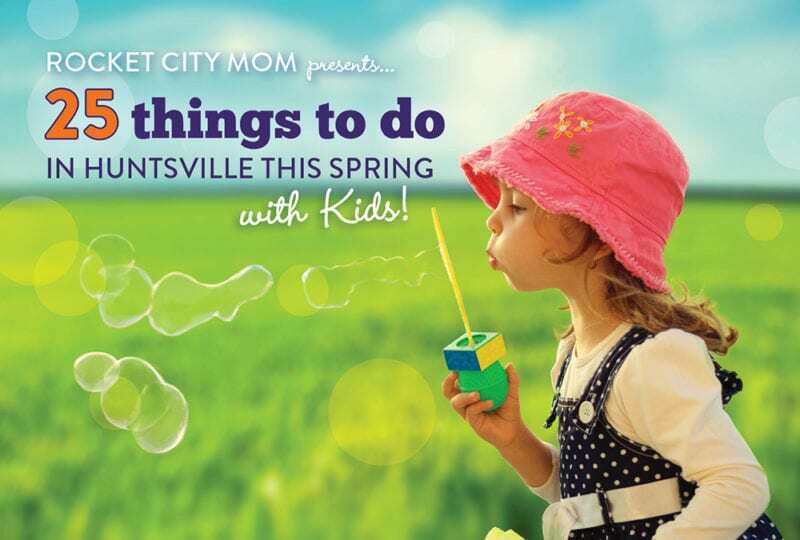 Here you’ll find all the opportunities for your little one to fill their basket with hidden treasures in Huntsville and Madison County. There are lots of ways to celebrate Easter in Huntsville! For even more Spring events and activities, check out our 2019 Spring Activity Guide sponsored by the Heart of the Valley YMCA! Easter Bunny Arrives at the Mall! Easter Bunny Arrival Party: Sat. March 30 from 9:00-10:30 AM. Put on your bunny ears and hop over to Parkway Place to welcome the Easter Bunny to the Tennessee Valley! The first 100 kids will enjoy cookie decorating with Great American Cookies at Parkway Place Mall, professional face painting by Coco’s FACE PAINTING, and character appearances by Tinkerbell and Poppy! Families can make their very own Easter baskets with The Home Depot team, and Hallmark Gold Crown Stores will host a coloring contest and provide treats for children while supplies last. A DJ will have fun dance contests with prizes for the kids! Easter Bunny Pet Nights: Mondays, April 1, 8, & 15 from 6-9PM. Bring your pet for a photo with the Easter Bunny! Pets must be leashed. Bunny Cares: April 7 from 9AM-11AM. People within every spectrum of special need and their families are invited to a private photo session to experience the time-honored tradition of a visit with the Easter Bunny. The Riley Center will be at the set with a sensory station for children who would like to use them. Families will enjoy beverages and breakfast foods. Lights and music will be muted where possible. Please reserve your complimentary time slot. Join us at Epworth United Methodist Church on Saturday, April 6th from 2:00-4:00pm for our Jump Into Easter Festival. There will be a bouncy house, games, snacks, prizes, and an Easter egg hunt. All are welcome to this FREE family event. We’ll have a hoppin’ good time! If you have little ones at home, we have a special Easter event just for them. It’s our annual Easter Eggstravaganza! Join us on the front lawn of the Chase or Hampton Cove campus for an egg hunt, snacks, games and photos with the Easter bunny. There will also be a petting zoo on the Hampton Cove campus. This event is open to the entire community so be sure to invite your friends and neighbors to join you. We will be having an Easter Egg Hunt at Grace UMC, featuring an Easter story, age groups for the Egg Hunt; peanut free bags of candy; games, cookie and lemonade; and crafts! 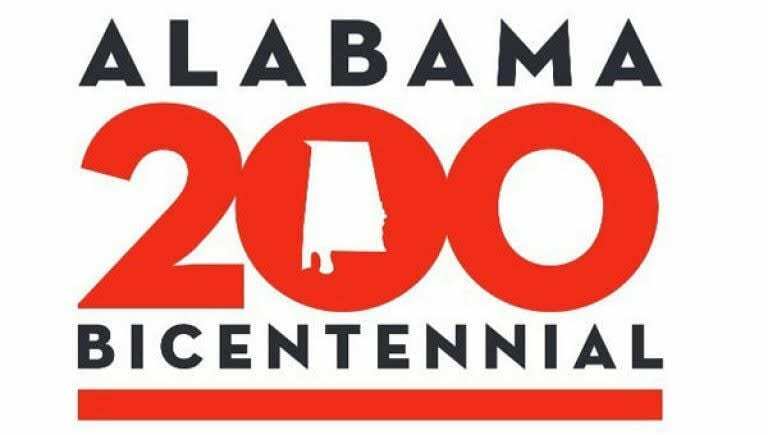 Our rain date will be Saturday April 20, 2019 from 10-12. We look forward to meeting you! Join us on the farm this spring for the most relaxing egg hunt imaginable. You will take a hayride to our field FULL of eggs. Here you will see some bunnies and get 12 eggs. You will exchange the eggs for a yummy bag of candy. All children will get the same amount of candy without having to worry about it while hunting. We also have a little scavenger hunt where the children will find an egg hidden in hay at each activity. We invite you to join our family for this spring celebration! We will have delicious food and more activities than any egg hunt around. From our Tubing slide to our Low Ropes Course and jumping pillow, we have so many fun things to do during your visit. We welcome anyone in our community to join us for our Palm Sunday service followed by a free Easter Egg Hunt with lunch. The egg hunt will be for ages nursery through 4th grade. There will also be lawn games and the Easter Bunny for everyone to take photos with. Can’t wait to see you all! Easter Fun for ages birth through 5th grade! Join us for games, snacks, an Easter Bunny sighting, and age appropriate Egg Hunts. Owens Cross United Methodist Church is having a glow-in-the-dark Easter Egg Hunt. Food will be provided at 7:00PM and the hunt will start once it is DARK!. At 11AM, we will be starting our journey with lunch and a trip through our time machine to the Holy Land where we will witness some of the events in the last week of Jesus Christ. After the journey we will have an enormous Easter egg hunt and other Easter games. Join us on April 13, 2019 from 2-4 for the 2nd Annual Egg-Citement Event at Parker Chapel United Methodist. Easter Egg Hunt starts promptly at 3:15! We will have an Easter message story time, bouncy house, popcorn, cotton candy, clowns and we will be making child and senior identification CD’s. There will be games, yummy food, giveaways, an egg hunt, and even a visit from the Easter Bunny! For Girlz, we’ll have complimentary rainbow hair extension and glitter tattoos. Boyz can enjoy complimentary colorful hair style and tattoos! Join us for an afternoon of egg hunts, crafts, snacks and more! Storytime will start promptly at 4:00 p.m. followed by the Easter Egg hunt & activities in the park next door to the library. Activities sponsored by the United Cerebral Palsy of Huntsville & Tennessee Valley, Inc.
Easter Egg Hunt at the library! Join us in the Youth Services Area for an Easter egg hunt just for children. See the Easter Bunny as he gets things hopping around the Farm! This family event features fun games, activities, baby farm animals and non-stop egg hunts with prize candy packs for the kids. Hunts times are broken down by age groups throughout the day. Make sure to bring your own basket. When you are finished hunting please stay and play on our giant playground, check out our gift shop, and enjoy our scrumptious concessions! You’re also invited to come join us on the farm for a yummy Breakfast with the Easter Bunny beforehand – tickets must be purchased online, are limited, and include admission to the egg hunts. Garden members, it’s that Egg-cellent time of the year with Bunny Bonanza! 10,000 eggs are stuffed with treats and scattered about the Garden. Music, games, refreshments and face painting will keep your little one busy. The Easter Bonnet Parade is always fun. Bring your cameras for a great photo with the Easter Bunny! The Bunny Bonanza is a members-only event and is $5 per child. Registration in advance is recommended to help speed the process that day. Purchase tickets in advance and print your e-Ticket when prompted. Not a member? Now would be the perfect time to join and take advantage of Bunny Bonanza, one of many member benefits. Join online or in the Shoppe at the Garden. Join us in decorating and painting gourds for Easter. This event is open to all ages, younger children may require the help of a parent. We will be making 3 different designs and this will include a basket and grass for your creations to nest in. The cost of this event is $7 per person. This includes all materials and instruction. Join us for an egg hunt for ages 12 and under. We will have games, prizes & snacks! Bring an empty basket. Madison Freewill Baptist Church will be sponsoring an Easter Egg Hunt on Saturday, April 20th. Please join us from 10am till noon at our church campus. Children of all ages are invited. In addition to the Easter Egg Hunt, there will be an explanation of the REAL meaning of Easter. Following the events, there will be pizza provided for all. We look forward to seeing you there!! The fun kicks off at 10AM with treat filled eggs hidden for children ages 0-up. Prizes will be awarded for special eggs. Baskets will be raffled. Must be present to win. Bring your own basket. Areas will be assigned by age. Join us for an Easter egg hunt on the lawn at Tillman Hill Library from 2-4PM! Visit with Peter Cottontail and his helpers before and during this forty minute train ride through the North Alabama countryside. This is a 35 minute trip on the train, where Peter Cottontail and one of his cousins, Benjamin, will be visiting with children! Bring your camera for picture opportunities with the bunnies. Join the City of Madison, Rocket City Martial Arts, WZYP and the Easter Bunny for the a day filled with fun. Children’s Activities, Egg Hunts, Kite Demonstrations by Chicago Kite, Vendors, Magic Show and much more! At 1:30pm on Dublin Soccer #1 at the City of Madison Parks & Recreation Tent, the first 500 children (ages 4-10) accompanied by an adult will receive a free kite! Handicap Parking ONLY at Dublin Park. All other parking will be at Bob Jones High School South Parking Area. Shuttle service will be provided at no charge. Shuttle service will begin at 9:00 am. Join the City of Madison, Madison City Disability Advocacy Board, Making Connections and Madison Adaptive Sports Program for a fun filled day of Easter fun. Check In/Registration begins at 1:30 pm, with the Egg Hunt beginning at 2:00 pm. Easter Bunny photos, games, activities and refreshments available from 2:30-4PM. Event will be held rain or shine. Preregister at mc@autism-alabama.org. For additional information, contact Gayle Milam at 256-772-2557. Join us between the Lodge and Marina for a Community Easter Egg Hunt! Ages 11 and under can hunt over 2,000 eggs and enjoy games and arts & crafts activities. Have your picture taken with the Easter Bunny! Everything old is new again at Burritt’s “Baskets Full of Fun” Easter Jubilee! We will once again host a day of rollicking jolliness at this come-and-go event for kids and families. This year enjoy Easter and springtime the old-fashioned pioneer way on Saturday, April 20, from 11:00am to 3:00pm. Grab your Easter basket and join us on the mountain to collect eggs and treats from Burritt’s frontier friends. Come for an hour or two or stay all day! Burritt’s Easter Jubilee is different than most Easter egg hunts since it is more of an Easter egg stroll where children bring their Easter baskets and collect eggs as they enjoy playing at Burritt. During this relaxing event, kids can visit with the Easter Bunny, ride the stagecoach, pan for gems, play a game of horseshoes, and much more! Admission is included in general admission prices. Bring the whole family and join us April 20th for this fun filled frontier celebration of Easter! Join us for a helicopter egg drop followed by egg hunt! The event begins at 1oAM with the drop occurring at noon. This event is geared towards children ages 10 and under. Bring a basket! Come join us for a FREE egg hunt and picnic on Saturday, April 20th at Movement Church! We will have 2 hunts – one for Pre-K, and one for Elementary. We’ll have hotdogs, drinks, sno cones, and bounce houses! Come join us for a fun, teachable moment, with the kids of Harvest Pointe! We want our little ones to know why we celebrate Easter. One way is through our Easter Egg Hunt! Is your church or organization hosting an egg hunt for the public? Let us know and we’ll add it to our list! « Huntsville Weekend Roundup March 22-24	» What Do Crawfish Have to Do With Diapers? I sent our Egg Hunt information, but don’t see it on your list. Could you please add it. Thank you so much!!! The egg hunt at Faith Lutheran Church in Madison is Sunday, rain or shine. Could you add “rain or shine” to our original post, please? Thanks so much!